Gnocchi are soft dumplings that cook in just 3 minutes, these are filled with a delicious cheese and spinach stuffing. Once cooked, they are often fried in butter to give a crispy coating and served with grated cheese. 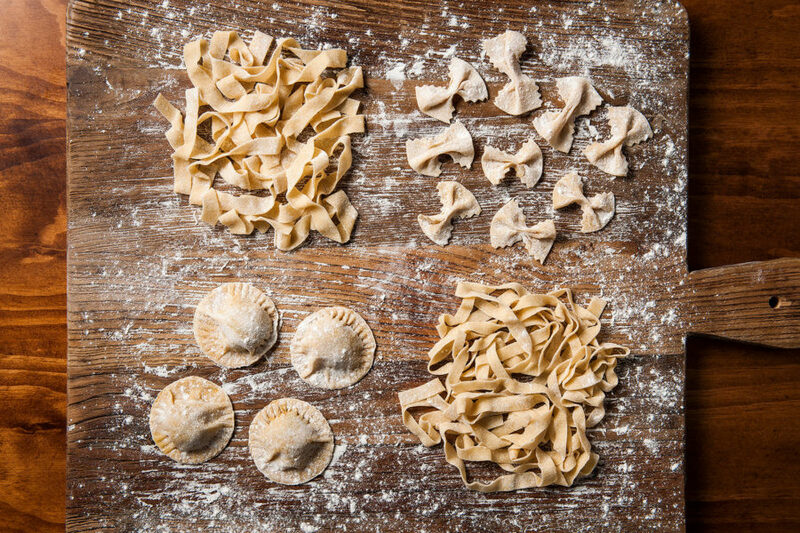 The origin of the name is unknown but there are many fables, each differs, but many describe how a tree offered it’s knots (‘node’ in Italian) to a women who cooked them and they magically turned into soft dumplings.